Machine learning supports 20-year-old theory of electron behaviour in high-temperature superconductor. Machine-learning algorithms are helping to unravel the quantum behaviour of a type of superconductor that has baffled physicists for decades. Researchers used artificial intelligence to spot hidden order in images of a bizarre state in high-temperature superconductors. The result, published in a pre-print1 on the arXiv earlier last month, supports one theory in a decades-long attempt to understand these materials. The study also represents the first time that machine learning has been successfully used to make sense of experimental data on quantum matter, said Eun-Ah Kim at Cornell University in Ithaca, New York, who presented the work at the Materials and Mechanisms of Superconductivity and High Temperature Superconductivity meeting in Beijing in August. In the long term, machine learning could boost efforts to spot simple patterns in other noisy and chaotic experimental systems, such as quantum spin liquids, which could form the basis of a future exotic type of quantum computer. The latest study focused on superconductors, which conduct electricity without any electrical resistance, but typically do so at less than 4 degrees above absolute zero, around -269ºC. Kim's team examined an even more rarefied group, called cuprates, which are made of sandwiches of copper oxide and become superconducting at temperatures of up to −140 ºC. Understanding the reason that cuprates can superconduct could be the key to engineering materials that do so closer to room temperature. But things get particularly baffling when cuprates enter a state called the ‘pseudogap’, which occurs when the materials are close to superconducting. Complex interactions between electrons and atoms make the pseudogap theoretically difficult to describe, and its chaotic nature challenging to observe. Some physicists call the state the cuprates’ ‘dark matter’, yet explaining the pseudogap may be key to understanding superconductivity. Physicists have observed some promising signs of order in the pseudogap — visible as ripples of changing electron density — but they disagree on how to explain these patterns. One approach views electrons as strongly interacting particles2,3, whereas the other treats them as wave-like and only weakly interacting. To glean more information about these patterns, Kim’s team designed neural networks — AI inspired by structures in the brain — that studied images of the pseudogap. 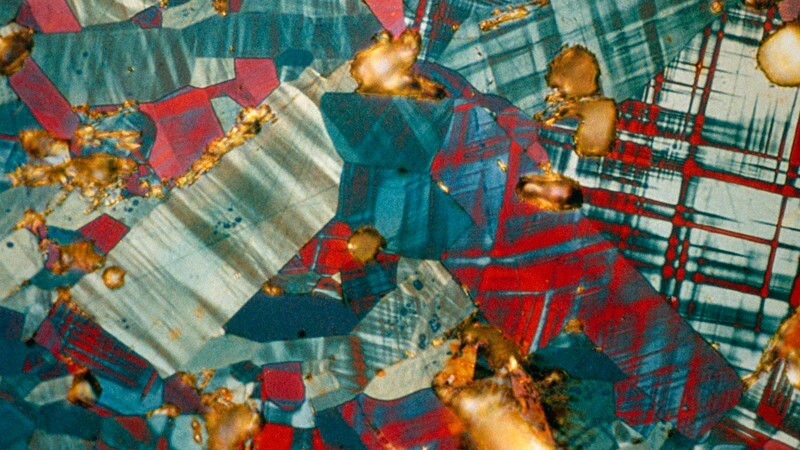 Patterns in the images, taken with a scanning tunnelling microscope, often appear disordered to the human eye because of the material’s naturally chaotic and fluctuating nature and noise in the measurements. The advantage of machine learning in this situation is that algorithms can learn to recognize patterns that are invisible to people. To train the algorithms, the team fed neural networks examples of rippled patterns that corresponded to different theoretical predictions. Having learned to recognize these examples, each algorithm applied this learning to real data from cuprates in the pseudogap. Over 81 iterations, the algorithms repeatedly identified one modulating pattern that corresponded to the particle-like description of electrons, which dates back to the 1990s. The paper shows that the particle-like description is more appropriate in this case than the conventional wave-like description, says André-Marie Tremblay, a physicist at the University of Sherbrooke in Canada, who was at Kim’s talk in Beijing. Working out the nature of the patterns is crucial to interpreting what causes them, says Milan Allan, a physicist at Leiden University in the Netherlands. The technique could eventually help physicists to understand high-temperature superconductivity, says Allan, though he cautions that the paper is far from definitive and that debate about what the pseudogap is will continue. The work is an impressive, original application of machine-learning algorithms to this type of experimental data, says Tremblay. But the algorithm can only distinguish between the various hypotheses it is given, he says, rather than find entirely new patterns. During her talk, Kim said that work is under way to apply the technique to rapidly make sense of data from X-ray diffraction of quantum materials — a technique that uses the scattering of light waves to reveal a material’s 3D physical structure, but which creates patterns so rich they can take months to unravel by conventional means. In this case, the AI must draw out similarities and classifications itself, rather than be given pre-labelled examples, by grouping features it sees as similar in clusters. “This journey of using AI, or machine learning, for various aspects of our quest to understand quantum emergence has just begun,” she said. Zhang, Y. et al. Preprint at https://arxiv.org/abs/1808.00479 (2018). Kivelson, S. A., Fradkin, E. & Emery, V. J. Nature 393, 550–553 (1998). Zaanen, J. Science 286, 251–252 (1999).